TrackTime24 is used by companies all over the world and from every industry. 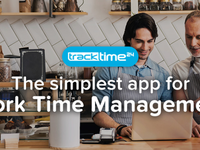 Small and medium businesses rely on TrackTime24 in their work time management. Turn your Smartphone or Tablet into a professional contactless Time Clock! 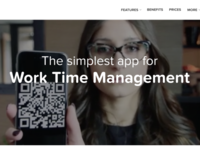 TrackTime24 makes managing timesheets the easiest parts of your job! It allows you to monitor your employees Clock Ins and Clock Outs, as well as their total number of hours worked, including breaks and overtime. 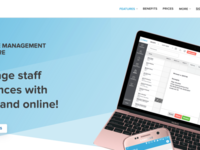 Create and notify your employees about new work schedules and hassle-free manage their leaves requests and business travels. No more pen and paper or manual calculations! Pros: I'm glad I started using this app. It makes scheduling so easy for managers to create, and so easy for employees to follow. Great for monitoring hours and leave requests. Great support, happy to help even with most trivial things. Cons: At this time I have found some bugs but they were "squashed" quickly. :) I am still waiting for the new app for employees, but it is supposed to become available soon and the team is keen on keeping their word. TrackTime24 - super simple and user-friendly software! Pros: We are so happy with TT24, it's working out so well. Scheduling is a breeze and our office is so much more peaceful and happy without the chaos of those paper timesheets! Customer support is awesome! Pros: I didn't know about the existence of such applications until someone recommended it to me. It makes work A LOT easier, now it's hard for me to imagine how we even worked without it. ;) It's very intuitive and easy to use. I definitely recommend it! 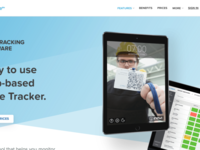 Pros: Very intuitive, with the tutorial guiding you through each step in the application set-up, customizable pricing (you pay for what you need), innovative QR code clock-in, clock-out solution, haven't seen this in any other cloud time track tool. Cons: Quite a fresh software, so you might encounter minor bugs but the support has responded quickly to any issues. Pros: User friendly, intuitive and good-looking app, so I enjoy using it. Perfect for our small team time management. Gets the job done! Cons: Found few bugs, but they didn't affect our work. Solved quickly by the support. We haven't experienced any serious problem. Quick software at reasonable price which streamlines workforce management. Pros: This software is simplicity and quick in use. Almost all functionality is added. If you need you can find quick support - very appreciated. Cons: There is some small bugs and some additional functionalities can be added. There is no significant errors. Simple and Easy. Great product! Pros: The easiest system I have ever used. The staff has no problem with the system not recognizing them as our old system did. Pros: This application makes it easy to program different tasks for managers, and easy to follow for employees. This is really ideal for controlling hours and leaving pending requests even with trivial things. An app that does what it says and make an amazing difference in the office! Pros: Really easy to use with great interaction, it's made a huge difference to the efficiency of our office. Customer service is also really good and very helpful. Helps streamline time management and increases staff productivity. Cons: Haven't found any issues yet! Will be checking to see if any issues appear with upcoming software updates. Pros: Fantastic people in charge that are always eager to help. Tracktime has a plenty of really usable features, absence mgmt works well.